Sacramento is America’s Farm-to-Fork capital. The movement, which has been sweeping the nation in recent years, brings to the forefront the desirability of using fresh, seasonal meats and produce from nearby sources. 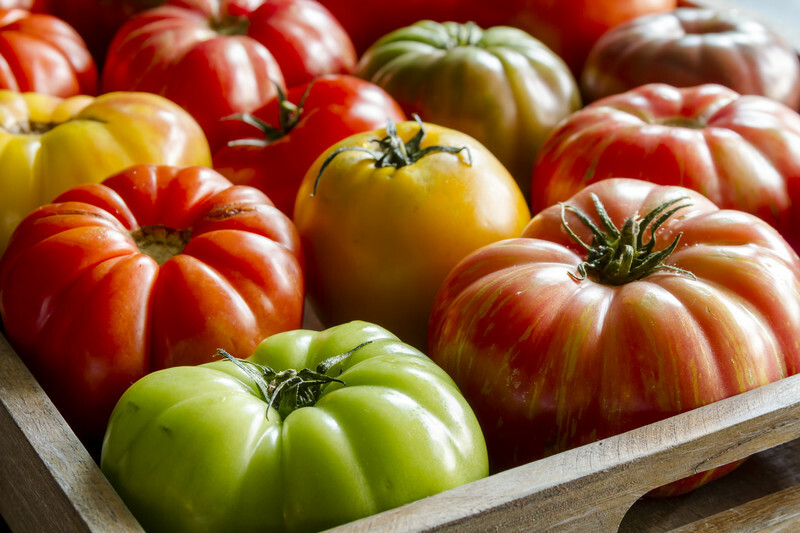 Many chefs contract with local growers to ensure they will have the freshest of ingredients available to serve their customers.After all, fresh food just tastes better. Picked at the peak of ripeness, produce contains more of the vitamins and minerals Nature intended. Heirloom tomatoes alone contain over 68 chemical compounds which affect aroma and flavor. (If you love science, you might want to check out this article in Science Direct). Purchasing local meats and produce also brings jobs to the region. Farmers are often able to add new employees because of the increased demand for more diverse products. New, young farmers are enthusiastically embracing farming as a viable business with the recognition that our health, in large part, depends on the quality of the foods we consume. While the ‘awakening’ of the public to the desirability of fresh local food is trendy, it’s not news to any of us who grew up in rural America. For our parents, it was simply the way things were done. You planted seeds, protected them from frost and opportunistic creatures, and watched them grow. When harvest time came – usually at the hottest part of the year- the whole family participated in the process of canning and dehydrating the bounty. Outdoor kitchens were not a luxury – they were a necessity to escape the steam filled, humid air created by several canning pots filled with boiling water noisily rattling on the old O’Keefe and Merritt stove. Back then, even ‘canned’ goods were more flavorful and retained their nutrient value better because the produce was picked at perfect ripeness. Fall harvest celebrations were common from the time of our grandparents and great-grandparents. Friends and neighbors would gather after spending long weeks in dust and grit behind hard-working draft horses or mules to share the best of their harvest. They would take a rare day off, dress up and get together for squash, corn and beans. Often venison was served alongside whole roasted pigs. Sweet potatoes and bread right from the wood fired oven were proudly placed on the table, and the aroma of freshly made corn tortillas filled the air. Mezcal made from the beautiful wild Agave graced many community gatherings. Adults talked about the weather, rain and the harvest while children ran giggling after startled, cackling chickens. Even in more recent times, many of us who grew up in the 1960’s knew exactly where our tomatoes came from. We likely were given the task of weeding the garden before we were old enough to help with the planting. One such child, who shall remain unnamed, managed to not only rid the garden of weeds, but also of all the tomato and pepper plants in the process. There was a very limited supply of tomato sauce and salsa that winter. 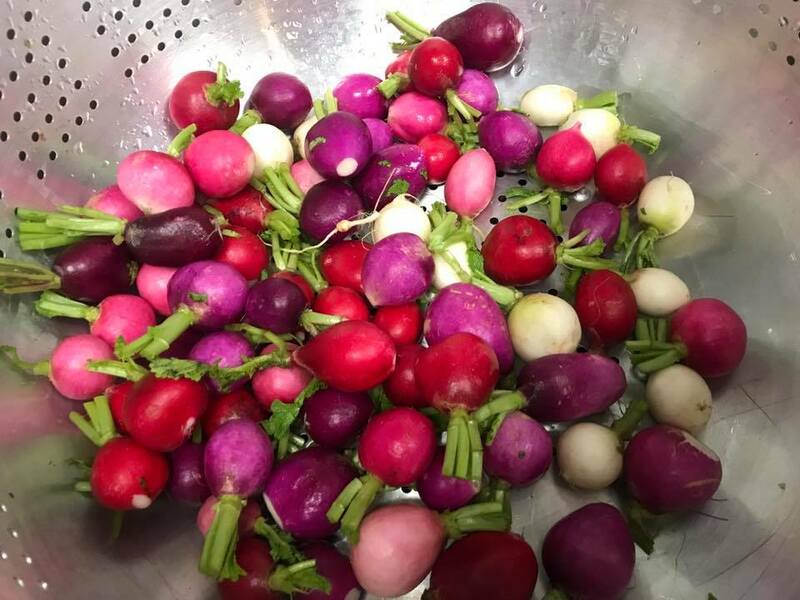 For Ernesto Delgado, providing fresh local produce has been a way of life long before the recent re-discovery of the goodness of fresh foods. There is nothing quite like sitting at the table with those you love, enjoying a salad made with greens picked early that morning; the juice from the heirloom tomato escaping down your chin. The exquisite flavor of a soup created from the freshest Poblano chiles is unmistakable – rich, earthy, with just the right amount of spice. A Margarita made with fresh watermelon juice from a melon that was picked in the hot sun the previous afternoon will make you swoon with pleasure at the crisp, clean sweetness given freely by nature.